Netflix has plenty of original superhero shows under its belt like Daredevil, Jessica Jones, Punisher, Luke Cage and Iron Fist. Okay, so it’s all Marvel characters, but in February, it will be releasing a new non-Marvel superhero show called The Umbrella Academy. Based on the comic by Gerard Way and Gabriel Bá, the series follows a dysfunctional family of superheroes as they try to prevent an apocalypse. Having watched all ten episodes, I can easily say that this is one of Netflix’s top shows, and it brings something completely different and fun to its superhero lineup. All around the world, women with no signs of pregnancy have suddenly given birth to babies. Billionaire industrialist Sir Reginald Hargreeves was able to save and adopt seven babies, each having their own superpowers. The new father trained the kids to become superheroes, but they later part ways as adults. Many years later, Hargreeves’ death brings the children back together, and this time they must work together to stop the end of the world. We’ve seen superhero families before like Incredibles and The Fantastic Four, but this dysfunctional family takes the cake with its absurdity. The Umbrella Acadamy series isn’t afraid to double down, and it captures all the weirdness of the comics including a talking ape, robots, time travel, assassins who wear cute masks, and ghosts. The Umbrella Academy source material is like a template, with the show taking each character and expanding their relationships with others. Vanya (Ellen Page) is more of a tragic character since she has no powers. We really get to see her struggles as an outsider as she’s not able to participate in the family’s superhero missions. We also get a better understanding of why Allison (Emmy Raver-Lampman) hasn’t been using her powers, who has the power to turn rumors into reality. The most interesting teammate has to be Number Five, who has the ability to time travel. He has experienced the apocalyptic future, and when he travels back in time, he becomes a young kid again despite his old age. The young actor, Aidan Gallagher, conveys the attitude of an older man who is tired of people treating him as a kid. It’s a treat to see these scenes play out like when he’s trying to make a point to a doctor. Some characters with small parts in the comics now have a whole arc. For example, we have a cute love story between the villain Hazel and Agnes, the donut shop owner. Can we talk about Pogo? The CG for the talking chimpanzee is very impressive, and the Planet of the Apes’ Caesar would be very proud. Then again, the team behind the CG character is Weta Digital (The Lord of the Rings). His digital model is further improved by Adam Godley’s performance where we see compassion and sadness. Throughout the whole show, I was constantly in disbelief at the quality of the visual effects. The Umbrella Academy does end in a cliffhanger, which looks like Netflix is confident in doing a second season. It’s fun to see these different characters with different personalities and powers coming together as a family. You’ll grow with them, each with their own stories to tell that will ultimately lead them back together for an epic showdown. Showrunner Steve Blackman and his team have done a wonderful job of adapting the comic book, bringing life to these characters. 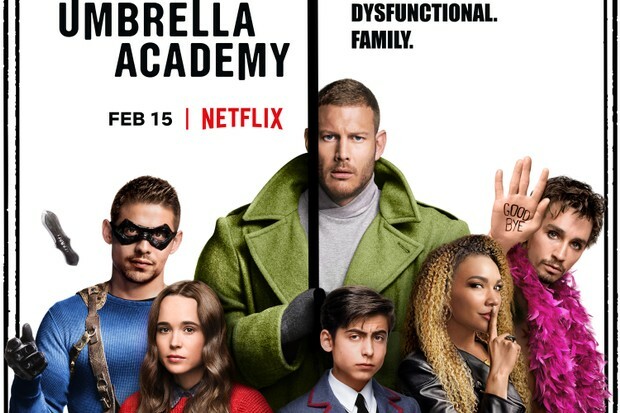 The Umbrella Academy is a hilarious take on the superhero genre that isn’t shy about its fantasy elements. In the end, it’s all about family and what you would do for them. 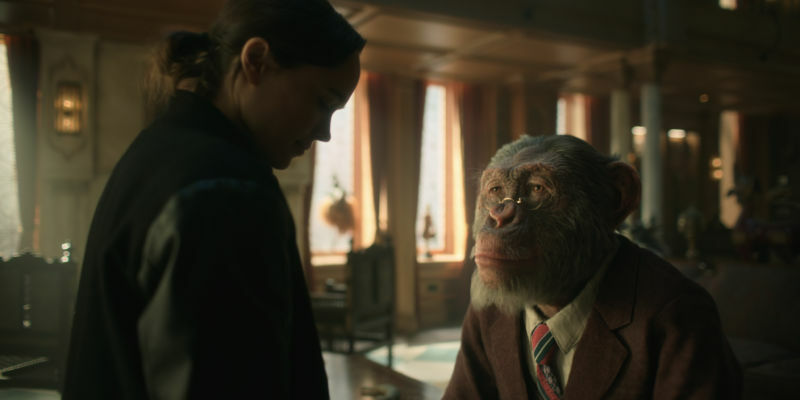 The post Netflix’s The Umbrella Academy captures the craziness of the comics (review) appeared first on Nerd Reactor.